A new study, published in JAMA (Journal of the American Medical Association) by researchers at Lawson Health Research Institute and Western University, found that coaching patients with Chronic Kidney Disease (CKD) to drink more water does not slow down the decline of their kidney function. "Despite widespread beliefs, little scientific data exists on the optimal amount of water to drink," explains Dr. William Clark, Scientist at Lawson and Professor at Western's Schulich School of Medicine & Dentistry. "While many claims about the benefits of increased water intake remain untested, a growing body of evidence suggests that increased water intake improves kidney function through the suppression of the antidiuretic hormone." This leads to the question of whether increased water intake can slow the progressive loss of kidney function. Guided by a successful pilot study, the research team constructed a randomized clinical trial with patients at London Health Sciences Centre (LHSC) and several other hospitals in Ontario. They wanted to determine if coaching patients to drink more water slowed their decline in kidney function over one year compared with those in the control group who were coached to maintain usual fluid intake. "It is really about personalized medicine," says Dr. Clark who is the principal investigator for the study and Director of Apheresis and Consultant Nephrologist at LHSC. "Could we look at the general population of patients with kidney disease and find that increased water intake helps slow the decline in function? And if not, how can we apply this knowledge to create more targeted treatment approaches?" The trial is the largest to date with over 630 participants with Stage 3 CKD. The cause of their disease was varied, including diabetes and high blood pressure. 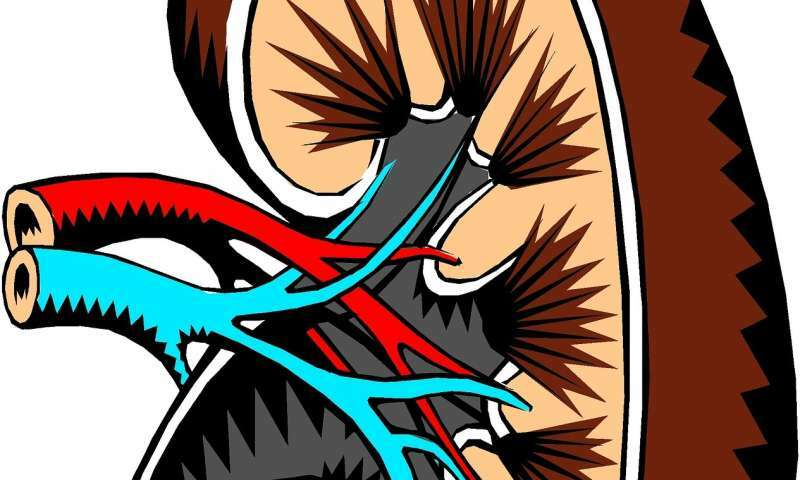 "Those diagnosed with CKD have some degree of kidney damage, indicated by a decreased level of kidney function," explains Kerri Gallo, RN Project Manager for the study. "Kidney disease can range from mild to severe and, in some cases, leads to kidney failure. Kidney disease often starts slowly and develops without symptoms over a number of years, so it may not be detected until it has progressed to the point where kidney function is quite low." Most patients with Stage 3 CKD experience either no symptoms or only mild effects, but they have already lost over 40 to 70 per cent of kidney function. "Current treatment guidelines are very limited for these patients. It includes the use of medication and optimal blood pressure control including salt restriction and increased water intake," notes Gallo. "We have no way to actively stop the decline or regain function. Our efforts right now are to slow the progress." The research team found that after one year, the increase of water did not slow the loss of kidney function. They did find that an increase of water, particularly when the participant's previous intake was low, did significantly suppress their antidiuretic hormone release. The prior benefits shown for water intake may relate to low water drinkers in the population. "This research indicates that for most patients with CKD, increasing fluid intake will not stop further loss of kidney function. It does allow us then to focus our efforts on other potential therapeutic options," says Dr. Clark. "We do know that many patients are drinking well below the recommended amounts. More research is needed, but the goal would be to tailor increased water intake as a treatment to those patients." The hope is to increase the personalized options of effective treatments available in order to reduce the risk of progression to kidney disease.